Erythromycin is produced from a strain of the actinomyces Saccaropolyspora erythraea, formerly known as Streptomyces erythraeus. Abelardo Aguilar, a Filipino scientist, sent some soil samples to his employer Eli Lilly in 1949. Eli Lillyâ€™s research team, led by J. M. McGuire, managed to isolate Erythromycin from the metabolic products of a strain of Streptomyces erythreus found in the samples. The product was subsequently launched in 1952 under the brand name IlosoneÂ® (after the Philippine region of Iloilo where it was originally collected from). Erythromycin was formerly also called IlotycinÂ®. In 1981, Nobel laurate (1965 in chemistry) and Professor of Chemistry at Harvard University (Cambridge, MA) Robert B. Woodward and a large team of researchers reported the first stereocontrolled asymmetric chemical synthesis of Erythromycin A.
Erythromycin is available in enteric-coated tablets, oral suspensions, opthalmic solutions, ointments, gels and injections. Erythromycin prevents bacteria from growing, by interfering with their protein synthesis. Erythromycin binds to the subunit 50S of the bacterial ribosome, and thus inhibits the translation of peptides. Erythromycin is easily inactivated by gastric acids, therefore all orally administered formulations are given as either enteric coated or as more stable salts or esters. Erythromycin is very rapidly absorbed, and diffused into most tissues and phagocytes. Due to the high concentration in phagocytes, erythromycin is actively transported to the site of infection, where during active phagocytosis, large concentrations of erythromycin are released. Most of erythromycin is metabolised by demethylation in the liver. Its main elimination route is in the bile, and a small portion in the urine. Erythromycin's half-life is 1.5 hours. Gastrointestinal intestinal disturbances such as diarrhea, nausea, abdominal pain and vomiting are fairly common so it tends not to be prescribed as a first-line drug. More serious side-effects, such as reversible deafness are rare. Allergic reactions, while uncommon, may occur, ranging from urticaria to anaphylaxis. Cholestatic jaundice, Stevens-Johnson syndrome and toxic epidermal necrolysis are some other rare side effects that may occur. Erythromycin has been shown to increase the probability of pyloric stenosis in children whose mothers took the drug during the late stages of pregnancy or while nursing. Earlier case reports on sudden death prompted a study on a large cohort that confirmed a link between erythromycin, ventricular tachycardia and sudden cardiac death in patients also taking drugs that prolong the metabolism of erythromycin (like verapamil or diltiazem) by interfering with CYP3A4 (Ray et al 2004). Hence, erythromycin should not be administered in patients using these drugs, or drugs that also prolong the QT time. Other examples include terfenadine (Seldane, Seldane-D), astemizole (Hismanal), cisapride (Propulsid, withdrawn in many countries for prolonging the QT time) and pimozide (Orap). Numerous interactions take place between medications and nutrients (food, beverages and/or vitamin supplements), some more significant than others. [1-3] To facilitate making rational decisions about drug therapy, the clinician should pay attention to important drug-nutrient interactions that can potentially alter therapeutic efficacy or result in an adverse event. The Joint Commission on Accreditation of Health Care Organizations requires that, before hospital discharge, patients be provided with instructions and counseling on potential drug-nutrient interactions. This article focuses on significant drug-nutrient interactions and specific vitamin interactions with newer pharmaceutic agents. The combination of zinc plus fluoroquinolones may result in an inactive complexation or, by a separate nonspecific effect, decreased absorptive capacity Calcium may also have an adverse effect on the absorption of quinolones. Therefore, it is important to advise patients to avoid concomitant ingestion of calcium-containing foods and over-the-counter products (e.g., vitamins containing iron, zinc or magnesium, antacids containing calcium) when taking these antimicrobials. If patients must take the combinations outlined above, spading the medications apart by at least two hours is recommended. A second type of drug-nutrient interaction involves food as a mechanical barrier that prevents drug access to mucosal surfaces. This interaction results in decreased drug absorption and shortened duration of action. An example is the combination of food with the macrolide antibiotic azithromycin (Zithromax). Azithromycin absorption is decreased when it is taken with food, resulting in a 52 percent reduction in the maximum concentration and a 43 percent reduction in bioavailability. [9,10] Azithromydn is unique in that it is taken only once daily in a five-day course of therapy, so it is imperative to take this antibiotic on an empty stomach to prevent therapeutic failure. Although macrolide products are often administered with food to avoid gastrointestinal irritation, azithromycin causes much less stomach upset than other macrolides and should not be taken with meals. Clarithromycin (Biaxin) is another recently released macrolide antimicrobial drug that can be taken without regard to meals. A study of 26 volunteers showed that food ingested immediately before taking a 500-mg tablet actually increased the degree of clarithromycin absorption by approximately 25 percent. Food may impair the absorption of erythromycin base (Erythromycin Filmtabs) or erythromycin stearate (Erythrocin, Wyamycin) because of the high susceptibility of this drug to gastric inactivation. [2,12] Food can decrease the gastric emptying rate and prolong exposure time of erythromycin to breakdown by gastric acid. Conversely, it is sometimes recommended that enteric-coated erythromycin tablets (E-Base, E-Mycin, Ery-Tab), along with erythromycin ethylsuccinate (EryPed and E.E.S) and erythromycin estolate (Ilosone) formulations, be taken without regard to food. [3,12,13] Careful consideration of the type of erythromycin preparation being used is important, since many patients want to take erythromycin with food to reduce gastrointestinal side effects. The manufacturers of film-coated tablets and capsules, capsules containing enteric-coated pellets of erythromycin and polymer-coated erythromycin-particle tablets (PCE Dispertab) recommend that these products be taken on an empty stomach to ensure optimal absorption. The combination of oral penicillin and food can result in lower and delayed peak serum concentrations. In children two months to five years of age, both peak serum concentration and bioavailability are decreased when penicillin V potassium is taken with food or milk. Other beta-lactam antibiotics, such as ampicillin or amoxicillin, should also be taken on an empty stomach. Potential interactions can be avoided by separating meals and medications by at least two hours. Other medications that have altered absorption when taken with food include the angiotensin converting enzyme (ACE) inhibitor captopril (Capoten). The relative bioavailability of captopril has been shown in small clinical trials to be decreased by 35 to 48 percent when it is taken with food. [17,18] The implication of altered bioavailability on therapeutic efficacy is a delay in blood pressure lowering. One study showed that eight patients with essential hypertension receiving chronic treatment with captopril had no significant loss in blood pressure control when the drug was taken with food. However, peak plasma concentrations and bioavailability of captopril were significantly decreased when compared with acute fasting or chronic fasting states. Nevertheless, patients should be advised to take captopril on an empty stomach or at the same time each day in a consistent fashion. Since ACE inhibitors can inhibit the excretion of potassium, patients should be warned not to use potassium salt substitutes with ACE inhibitors, because of the potential risk of hyperkalemia. Many drug-nutrient interactions delay the absorption rate of the drug without significantly affecting the extent of the drug absorption. The medications in this group include beta blockers, diltiazem (Cardizem), amitriptyline (Elavil, Endep), acetaminophen (Panadol, Tylenol), cefaclor (Ceclor), cephalexin (Keflet, Keflex), cephradine (Velosef), cimetidine (Tagamet), digoxin (Lanoxin), metronidazole (Flagyl, Protostat), furosemide (Lasix), trazodone (Desyrel) and sulfisoxazole (Gantrisin). [2,5,12] While these drug-nutrient interactions usually do not result in therapeutic failure, patients should be advised to take their medicine in a consistent relationship to meals and, in most situations, on an empty stomach. The antidiabetic agent glipizide (Glucotrol) should be taken 30 minutes before a meal to achieve the greatest reduction in postprandial hyperglycemia. Another example of significant diet content showed up in a trial of 27 patients in which the investigators studied the effect of a high-fat meal on the bioavailability of PCE Dispertab, the polymer-coated erythromycin-particle tablets. A decrease in maximum concentration and bioavailability was reported, with only 28 percent of erythromycin being bioavailable after administration. PCE Dispertab should therefore not be taken with food. Both the maximum plasma concentration and the bioavailability of zidovudine (Retrovir) can be altered when the drug is administered with food. One study found that concentrations of zidovudine were 57 percent lower when the drug was taken with a high-fat meal than when the drug was taken in a fasting state. A recent study included multiple sampling times to fully characterize the plasma concentration - time curve (area under the curve, or AUC) of zidovudine absorption when the drug was taken with a high-fat meal. Eighteen patients with human immunodeficiency virus infection received a single, 100-mg dose of zidovudine either after an eight-hour fast, with a high-fat breakfast or three hours after a high-fat breakfast. The maximum plasma concentration was significantly prolonged and reduced when zidovudine was taken with or after a high-fat meal (P value [less than or equal to] 0.05), but the AUC was not significantly changed when compared with that occurring in the fasting state. Zidovudine should be administered to patients in a fasting state before meals, when feasible for the patient. Monoamine oxidase inhibitors such as phenelzine (Nardil), isocarboxazid (Marplan) and tranylcypromine (Parnate) are well known to interact with foods high in tyramine. A hypertensive crisis can be avoided if patients know which food restrictions are most crucial. Unsafe foods include those high in protein that have undergone aging and/or fermenting (cheese, bean curd), pickling (fish), smoking or bacterial contamination. Red wine, some types of beer (including nonalcoholic beer), fermented products (sausage), brewer's yeast and fava beans can also cause problems. Foods containing lower amounts of tyramine may be safe when they are fresh and are eaten in strict moderation - sour cream, yogurt, meat extracts and chopped liver, for example. Any food that contains a high concentration of tyramine should be avoided. Patients must be given very detailed instructions about foods to avoid when they are taking this medication, and it should be emphasized that dietary restrictions should continue for three weeks after discontinuation of the drug. One study- examined the effects of citrus juices combined with the antihypertensive agents felodipine (Plendil) and nifedipine (Adalat, Procardia) in six men with borderline hypertension. Double-strength grapefruit juice or orange juice (250 mL) was administered with either antihypertensive agent. The combination of felodipine and grapefruit juice resulted in increased bioavailability of felodipine and lower diastolic blood pressure, compared with results when the drug was taken with orange juice or water. The postulated mechanism in this study was an inhibitory effect on hepatic first-pass metabolism or, perhaps, inhibition of metabolism caused by the presence of flavonoid or sequiterpenoid compounds in grapefruit. Other drugs that interact with grapefruit juice include cyclosporine (Sandinimune), an immunosuppressive agent. One study has shown that increased trough concentrations of cyclosporine result when the drug is taken with 8 oz of grapefruit juice, possibly through an inhibition of prehepatic gut wall metabolism. While interactions between citrus juices and antihypertensive agents and cyclosporine may be of clinical significance, further investigation of this possible pharmacokinetic interaction is necessary before specific recommendations can be made. The effects of a high-fat meal and a low-fat meal on the absorption of immediate-release nifedipine may result in reduced peak concentrations of nifedipine - 25 percent lower and 47 percent lower, respectively. Taking the drug with food may help minimize side effects (dizziness, headache, etc.) associated with elevated concentrations of nifedipine and, thus, this agent may be better tolerated. While the sustained-release formulations of nifedipine (Adalat CC, Procardia XL) are minimally affected by food, these formulations should be taken on an empty stomach to avoid altering the release characteristics. Sucralfate (Carafate), an agent used to treat duodenal ulcers, may bind to protein components in food and should be taken on an empty stomach, at least one hour before meals. Taking certain medications with food can actually be beneficial to the patient when the bioavailability of the drug is increased (Table 2). Medications such as griseofulvin (Fulvicin U/F, Grifulvin V, Grisactin), an antifungal agent, and spironolactone (Aldactone), a diuretic agent, have enhanced absorption when they are taken with high-fat meals. A new agent for the treatment of Pneumocystis carinii pneumonia, atovaquone (Mepron), has been shown to achieve elevated plasma concentrations when it is taken with a meal containing at least 23 g of fat. The risk of lowered drug concentrations exists if patients become unable to eat, and it is necessary to emphasize to the patient the importance of taking atovaquone with food. Food ingestion has been shown to increase the bioavailability of an oral solution of cyclosporine. However, a study of 10 patients showed no difference in bioavailability when cyclosporine was taken with food but did show an increase when the drug was taken with milk. It is recommended that the oral solution of cyclosporine be mixed with milk, chocolate milk or orange juice at room temperature, since this improves its palatability. 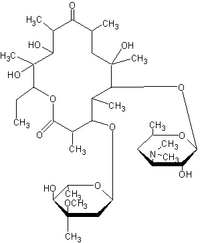 Nitrofurantoin macrocrystals (Macrobid, Macrodantin) is an antibiotic whose administration with food increases the bioavailability of macrocrystalline capsules (up to 80 percent) and microcrystalline tablets (up to 30 percent). Further studies have revealed enhanced bioavailability when nitrofurantoin is taken with food (from 20 to 400 percent). Taking nitrofurantoin with food can also minimize gastric irritation. The cholesterol-lowering agent lovastatin (Mevacor) should be taken with meals to maximize gastrointestinal absorption and increase systemic bioavailability. One report found that a diet high in pectin (15 g daily) in a patient taking 80 mg of lovastatin decreased the absorption of the lipid-lowering agent. Simvastatin (Zocor), pravastatin (Pravachol) and fluvastatin (Lescol) may be taken without regard to food. Clinicians often recommend that medication be taken with food to lessen gastric irritation. A recent study, however, showed that if the prostaglandin [E.sub.1] analog misoprostol (Cytotec) was taken with food, a potential for decreased systemic side effects existed because high peak serum concentration of the drug was reduced. Misoprostol is recommended for the prevention of gastric ulcers induced by nonsteroidal anti-inflammatory drugs (NSAIDs) and should be taken with food. NSAIDs can irritate the gastric mucosa and are associated with peptic ulcer disease and, therefore, should be taken with food. Phenytoin (Dilantin), amoxicillin-clavulanic potassium (Augmentin), cefuroxime axetil (Ceftin), cimetidine and beta blockers such as metoprolol (Lopressor) or propranolol (Inderal) can be taken with food or milk to help prevent gastrointestinal discomfort and increase bioavailability. [3,21] Estrogen-containing products should be taken with food to minimize nausea. Enteral formulas can interact with a number of drugs, resulting in diminished medication absorption. Clinically significant combinations include enteral formulas plus phenytoin, carbamazepine (Tegretol) and warfarin. Suspensions of phenytoin and carbamazepine should be used for patients receiving tube feedings. One way to minimize interactions between enteral feedings and phenytoin, although time-consuming, involves stopping the feeding and flushing the tube with water, then waiting one to two hours to administer medication and waiting another one to two hours to resume enteral feedings. It is important to consider possible interactions of medications and the effect on drug absorption when patients are receiving concomitant enteral tube feedings and medications. Many drug and nutrient interactions have varying degrees of clinical significance. In some cases, the interaction can be an advantage, lessening potential side effects or increasing therapeutic efficacy In other cases, drug-nutrient interactions can be undesirable, resulting in therapeutic failure. A number of published counseling programs involving health care professionals emphasize the importance of patient awareness of drug-nutrient interactions. [37,38] Physicians and health care providers should be cognizant of significant drug-nutrient reactions and possible clinical consequences. [1.] Garabedian-Ruffalo SM, Syrja-Farber M, Lanius PM, Plucinski A. Monitoring of drug-drug and drug-food interactions. Am J Hosp Pharm 1988; 45:1530-4. [2.] Trovato A, Nuhlicek DN, Midtling JE. Drug-nutrient interactions. Am Fam Physician 1991;44:1651-8. [3.] Garabedian-Ruffalo SM, Ruffalo RL. Drug and nutrient interactions. Am Fam Physician 1986; 33(2):165-74. [4.] 1994 Accreditation Manual for Hospitals. Vol. 11. Scoring guidelines. Oakbrook Terrace, Ill.: joint Commission on Accreditation of Healthcare Organizations, 1993;2:8. [5.] Hathcock JN. Metabolic mechanisms of drug-nutrient interactions. Fed Proc 1985;44(l Pt 1):124-9. [6.] Deppermann KM, Lode H. Fluoroquinolones: interaction profile during enteral absorption. Drugs 1993;45(Suppl 3):65-72. [7.] Polk RE, Healy DP, Sahai J, Drwal L, Racht E. Effect of ferrous sulfate and multivitamins with zinc on absorption of ciprofloxacin in normal volunteers. Antimicrob Agents Chemother 1989;33:1841-4. [8.] Lomaestro BM, Bailie GR. Quinolone-cation interactions: a review. DICP 1991;25:1249-58. [9.] Drew RH, Gallis HA. Azithromycin - spectrum of activity, pharmacokinetics, and clinical applications. Pharmacotherapy 1992;12:161-73. [10.] Zithromax (Azithromycin) product information. Pfizer Laboratories, New York: 1994. [11.] Chu S, Park Y, Locke C, Wilson DS, Cavanaugh JC. Drug-food interaction potential of clarithromycin, a new macrolide antimicrobial. J Clin Pharmacol 1992;32:32-6. [12.] AHFS Drug information 94. Bethesda, Md. : American Society of Hospital Pharmacists, 1994: 199-242. [13.] Welling PG. Interactions affecting drug absorption. Clin Pharmacokinet 1984;9:404-34. [14.] Randinitis EJ, Sedman AJ, Welling PG, Kinkel AW. Effect of a high-fat meal on the bioavailability of a polymer-coated erythromycin particle tablet formulation. J Clin Phamacol 1989;29:79-84. [15.] Mannisto P, Mantyla R, Klinge E, Nykanen S, Koponen A, Lamminsivu U. Influence of various diets on the bioavailability of isoniazid. j Antimicrob Chemother 1982;10:427-34. [16.] Baciewicz AM, Self TH. Isoniazid interactions. South Med J 1985;78:714-8. [17.] Mantyla R, Mannisto PT, Vuorela A, Sundberg S, Ottoila P. Impairment of captopril bioavailability by concomitant food and antacid intake. Int J Clin Pharmacol Ther Toxicol 1984;":626-9. [18.] Singhvi SM, McKinstry DN, Shaw JM, Willard DA, Migdalof BH. Effect of food on the bioavailability of captopril in healthy subjects. J Clin Pharmacol 1982;22:135-40. [19.] Ohman KP, Kagedal B, Larsson R, Karlberg BE. Pharmacokinetics of captopril and its effects on blood pressure during acute and chronic administration and in relation to food intake. J Cardiovase Pharmacol 1985;7(Suppl 1):20-4. [20.] Jonkman JH. Food interactions with sustained-release theophylline preparations. A review. Clin Pharmacokinet 1989;16:162-79. [21.] Hansten PD, Horn JR, Koda-Kimble MA, Young LY, eds. Drug interactions and updates. Vancouver, Wash.: Lea & Febiger, 1993:431-66. [22.] Shelton MJ, Portmore A, Blum MR, Sadler BM, Reichman RC, Morse GD. Prolonged, but not diminished, zidovudine absorption induced by a high-fat breakfast. Pharmacotherapy 1994;14:671-7. [23.] Hirsh J, Dalen JE, Deykin D, Poller L. Oral anticoagulants. Mechanism of action, clinical effectiveness, and optimal therapeutic range. Chest 1992;102(Suppl 4):312-26. [24.] Lippmann S. Monoamine oxidase inhibitors. Am Fam Physician 1986;34(l):113-9. [25.] Bailey DG, Spence JD, Munoz C, Arnold JM. Interaction of citrus juices with felodipine and nifedipine. Lancet 1991;337:268-9. [26.] Chayen R, Rosenthal T. Interaction of citrus juices with felodipine and nifedipine [Letter]. Lancet 1991;337:854. [27.] Ducharme MP, Provenzano R, Dehoorne-Smith M, Edwards DJ. Trough concentrations of cyclosporine in blood following administration with grapefruit juice. Br J Clin Pharmacol 1993;36:457-9. [28.] May JR, Dipiro JT, Sisley JF. Drug interactions in surgical patients. Am J Surg 1987;153:327-35. [29.] Artymowicz RJ, James VE. Atovaquone: a new antipneumocystis agent. Clin Pharm 1993;12:563-70. [30.] Ptachcinski RJ, Venkataramanan R, Burckart GJ. Clinical pharmacokinetics of cyclosporin. Clin Pharmacokinet. 1986;11:107-32. [31.] Keogh A, Day R, Critchley L, Duggin G, Baron D. The effect of food and cholestyramine on the absorption of cyclosporine in cardiac transplant recipients. Transplant Proc 1988;20:27-30. [32.] D'Arcy PF. Nitrofurantoin. Drug Intell Clin Pharm 1985;19:540-7. [33.] Richter WO, Jacob BG, Schwandt P. Interaction between fibre and lovastatin [Letter]. Lancet 1991;338:706. [34.] Karim A, Rozek LF, Smith ME, Kowalski KG. Effects of food and antacid on oral absorption of misoprostol, a synthetic prostaglandin El analog. J Clin Pharmacol 1989;29:439-43. [35.] Soll AH, Weinstein WM, Kurata J, McCarthy D. Nonsteroidal anti-inflammatory drugs and peptic ulcer disease. Ann Intern Med 1991;114;307-19. [36.] Estoup M. Approaches and limitations of medication delivery in patients with enteral feeding tubes. Crit Care Nurse 1994;14:68-72,77-9. [37.] Lasswell AB, Loreck ES. Development of a program in accord with JCAHO standards for counseling on potential drug-food interactions. J Am Diet Assoc 1992;92:1124-5. [38.] Jones CM, Reddick JE. Drug-nutrient interaction counseling programs in upper midwestern hospitals: 1986 survey results. j Am Diet Assoc 1989; 89:243-5. JULIENNE K. KIRK, PHARM.D. is an instructor in the Department of Family and Community Medicine at Bowman Gray School of Medicine of Wake Forest University, Winston-Salem, N.C. Dr. Kirk received a doctorate from the University of North Carolina at Chapel Hill.